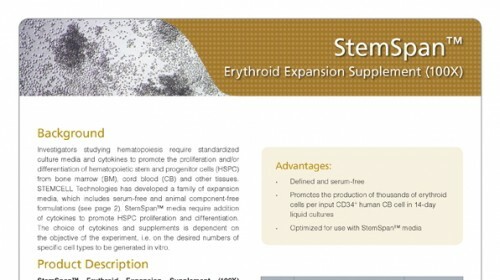 StemSpan™ Erythroid Expansion Supplement (100X) contains a combination of recombinant human cytokines (SCF, IL-3, and EPO) formulated to selectively promote the expansion and differentiation of erythroid progenitor cells from CD34+ cells isolated from human cord blood (CB) or bone marrow (BM) samples. 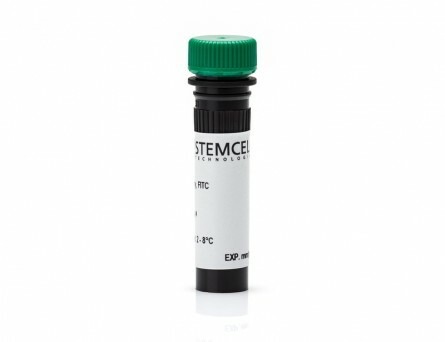 StemSpan™ Erythroid Expansion Supplement is intended for use in combination with StemSpan™ SFEM, SFEM II, and StemSpan™ Erythroid Expansion Medium (ACF-E), or any other media for culturing human hematopoietic cells. 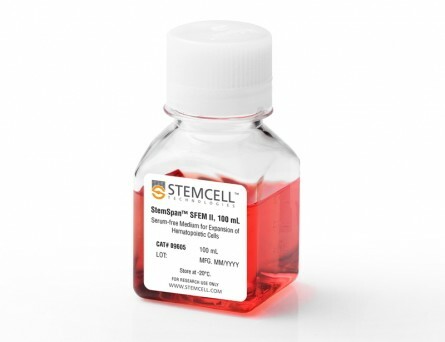 When added to serum-free medium, StemSpan™ Erythroid Expansion Supplement typically promotes the production of thousands of erythroid cells per input CD34+ cell in 14-day liquid cultures initiated with CD34+ human CB cells. See data section for more details. 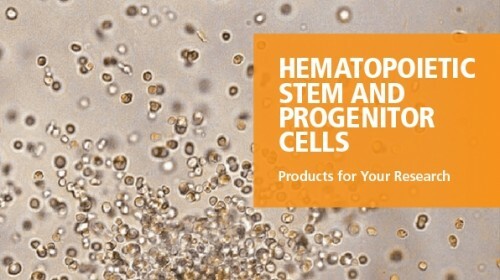 • Formulated to produce large numbers of human erythroid cells in liquid cultures initiated with CD34+ CB or BM cells. 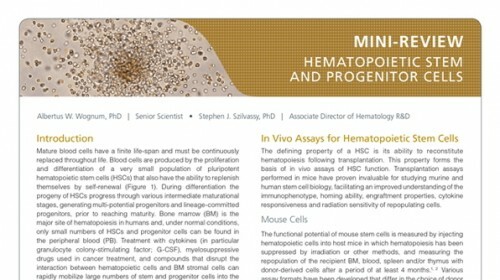 • Optimized for use with StemSpan™ media. 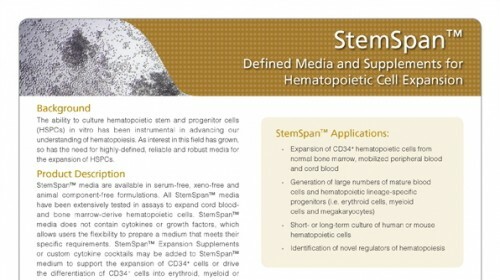 When combined with StemSpan™ SFEM II in particular, supports up to 4-fold higher expansion of erythroid cells from human CD34+ CB cells than other serum-free media on the market. 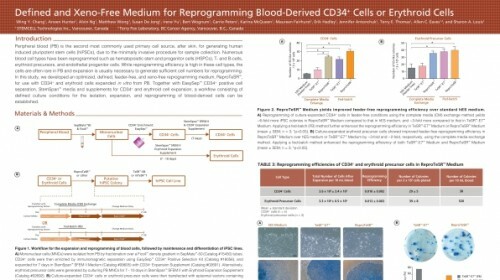 Flow cytometry dot plots showing expression of the HSPC marker CD34 and erythroid markers CD71 and glycophorin-A (GlyA) (A) before culture and (B,C) after 14 days of culture of enriched CD34+ CB cells in StemSpan™ SFEM containing Erythroid Expansion Supplement. 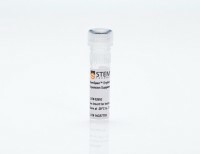 The frequency of CD34+ cells declined from ~60% before culture to <0.1% after 14 days. 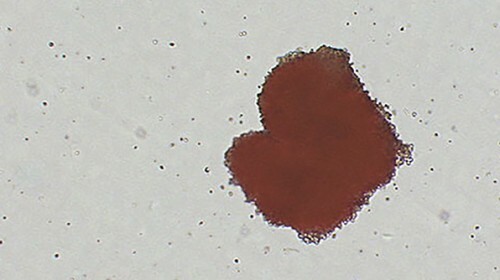 In parallel, erythroid cells gradually accumulated from levels of <1% before culture to >90% by day 14. 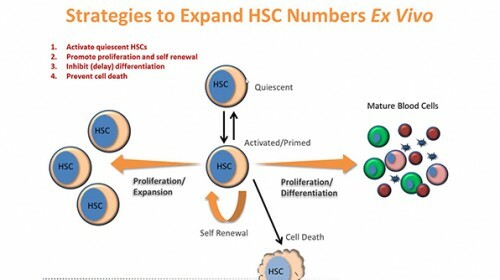 The bulk of cell population recovered from 14-day culture consisted of CD71+GlyA+ erythroblasts. 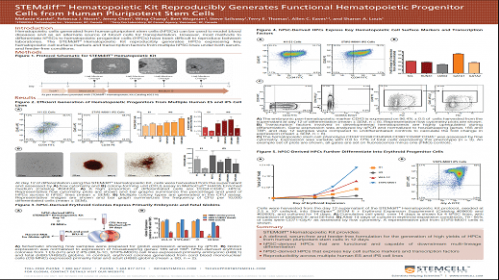 More immature CD71+GlyA- progenitors and proerythroblasts, as well as more differentiated CD71-/low GlyA+ normoblasts were also present at low frequencies. 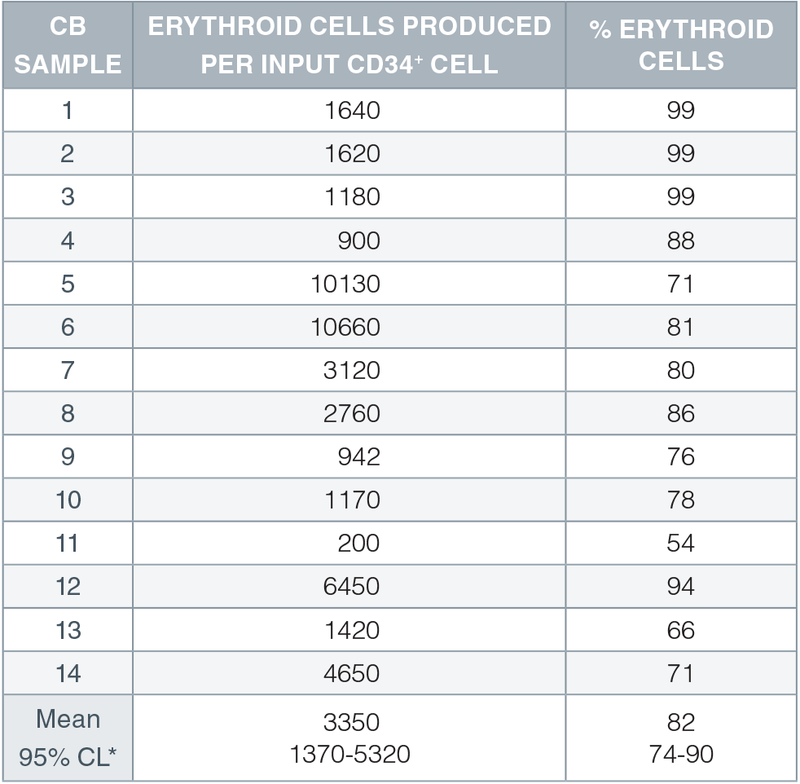 Numbers and percent of erythroid cells produced after 14 days of culture of enriched CD34+ cells from 14 different CB samples. 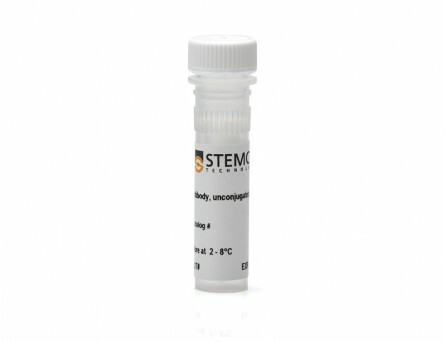 *95% confidence limits; the range within which 95% of the results will typically fall. 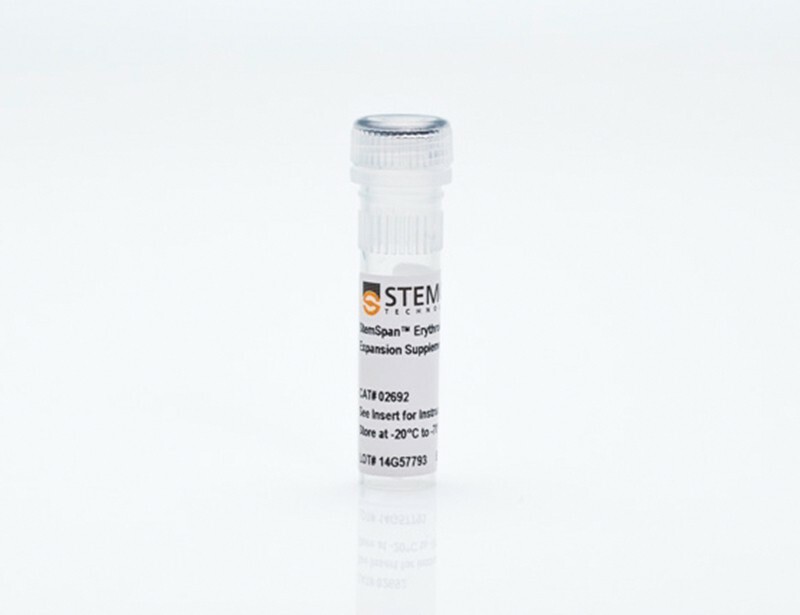 (A) Average numbers and (B) frequencies of erythroid cells normalized relative to the values obtained in StemSpan™ SFEM (grey bars) after culturing purified CD34+ CB cells (n=6) for 14 days in StemSpan™ SFEM, SFEM II (gold bars) or ACF (orange bars) media containing Erythroid Expansion Supplement. Vertical lines indicate 95% confidence limits, the range within which 95% of results typically fall. 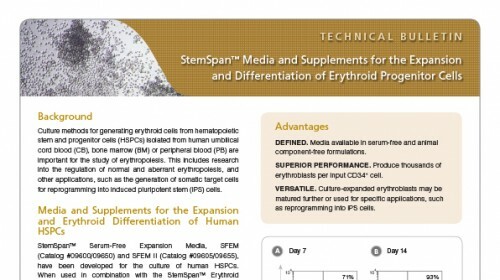 Erythroid cell yields were significantly higher in SFEM II compared to ACF (p<0.01). 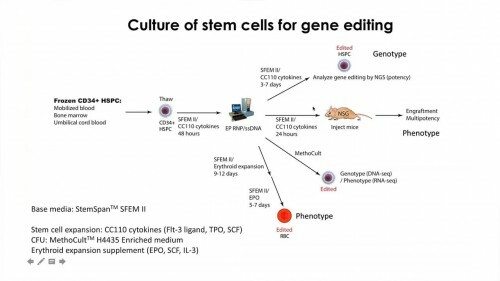 Erythroid cell yields in SFEM II were also significantly higher than in SFEM for 5 of 6 CB samples tested (p<0.05).